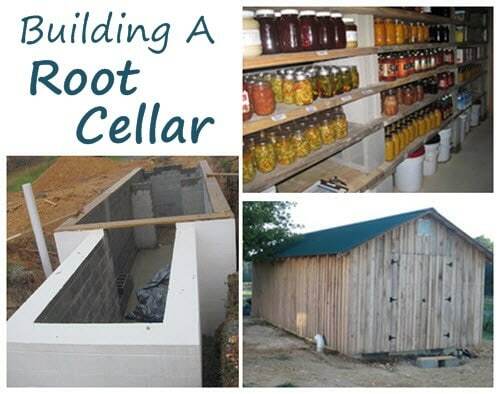 Building a root cellar is a project of respectable challenge. When the easiest part of the tutorial is digging the 10 foot by 30 foot by 15 foot hole, you know this is going to be an interesting endeavor. That said, the tutorial walks you through every step of creating a multiuse root cellar with two main rooms: a wet room for planting (earthen floor remained to facilitate planting) and a cold room with plentiful shelving for storage (concrete flooring to help keep the room cool). One of the best parts of the tutorial is the author’s ability to obtain extraordinarily beautiful workmanship from the neighboring Amish community. This allowed him to purchase a fantastic 12 x 32 wooden shed that went over the root cellar and truly made the entire project complete.